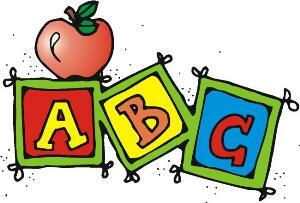 At the SEAS Pre-K program we believe a child’s learning environment should be stimulating, exciting and enjoyable. We focus on developing social skills and emerging concepts. We encourage each child to explore their world through large and small group experiences, while gaining an appreciation of their world and others around them. Our curriculum is built on the understanding that each child is unique and develops skills at different rates, especially in the areas of emergent literacy and mathematics. Our daily routine includes language arts, math readiness, science, social studies and religious education. Through dramatic play, block building, housekeeping, music, art and physical education children develop relationships with their peers. We incorporate and explore many exciting activities during the year including butterfly and plant study. A faith filled journey is at the core of our Pre-K curriculum. At SEAS, we LIVE with respect, responsibility and reverence. Prayer services and holiday celebrations are an important part of our curriculum. This gives the children an opportunity to share their experiences with their loved ones. At SEAS, we believe in developing the best in each child and nurture a positive self image in a creative and loving environment.